In 2005, Jean Feraca, host of “Here and Now,” was in Naples, Italy looking for an authentic pizzaioli. Not a bad place to look. Naples, after all, is where pizza was allegedly invented. As the story goes, Neapolitan chef Raffaele Esposito created a tomato, mozzarella and basil pizza (red, white and green, the colors of the Italian flag) for Italian Queen Margherita in 1889. Feraca, who traveled all the way from Madison, Wisconsin, wanted to interview a pizza maker who still practiced old school pizza. According to the Naples pizza police, real pies must be baked in a wood-burning oven, using authentic farina-based Caputo flour, Italian plum tomatoes and freshly-made mozzarella. When the Naples pizzaiolis found out where the NPR radio host was from, they laughed and told her about an authentic pizzaioli only two hours from her home. 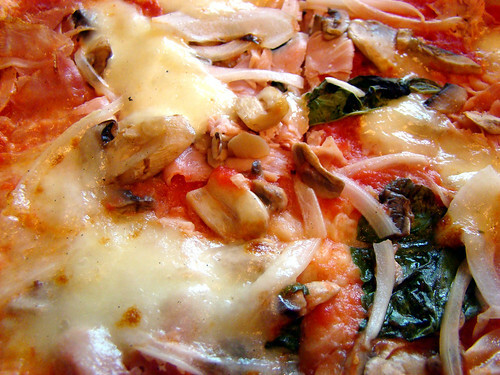 Stefano Viglietti, an Italian-American from Sheboygan, Wisconsin, makes authentic Pizza Napoletana. He traveled to the Amalfi Coast in 1999 to train and become the fifth American to meet the strict set of guidelines set down by the Associazione Vera Pizza Napoletana, a prestigious Naples-based non-profit that protects the methods and ingredients used in making Neapolitan pizza. When he opened Il Ritrovo (it’s Italian for “gathering place”) in 2001, an old school pizzaioli traveled from Naples to this little town on the Wisconsin side of Lake Michigan to confirm he met the valued standards and to train his staff. Viglietti took the Italian Slow Food movement to heart. Next to Il Ritrovo in downton Sheboygan, Viglietti and his wife Whitney run Field to Fork, a café and grocery that serves nothing but organic, local and natural products. Viglietti’s chefs bake all their own breads and deserts, roast their own coffee, make homemade soups and squeeze their own juices. www.ilritrovopizza.com, www.thefieldtofork.com.